Corporate event planning organization connects multiple locations during a live broadcast meeting with audience response systems. Pulse Interactive Media is an acclaimed event production company with a mission to rejuvenate everyday corporate meetings into memorable learning experiences. A specific client requested to conduct live audience polling simultaneously from multiple, remote locations during a live broadcast. The scope of the event included 75 different locations with attendance from 800 to 1,000. With a long history of collaborating on events, Pulse Interactive Media Founder and CEO Wendy Azad had the utmost confidence Turning Technologies could meet the challenge. “We’re really impressed with Turning Technologies and the company’s efforts to remain on the cutting-edge,” stated Azad. While TurningPoint interactive polling software and audience response clickers are the main applications Pulse Interactive Media employs on a weekly basis to assess understanding and feedback, this marked the first time the company utilized remote polling capabilities. The technology allows users to extend TurningPoint polling to multiple, remote locations and instantly combine all of the results. Participants can easily respond with audience response clickers or a mobile clicker app. The client’s logistical fears quickly diminished and transformed into excitement as real-time results came in from all locations during the event. As Azad put it, “Nothing is quite as satisfying as perfection. 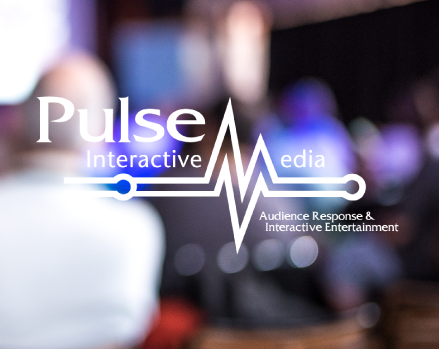 It made us look really good and everyone was really happy.” Pulse Interactive Media continues to use TurningPoint interactive polling software and audience response clickers on a regular basis for information gathering, opinion polling and collecting demographic data, among other uses. As a result, the company is more versatile and able to garner more clients because of Turning Technologies’ assistance with events.